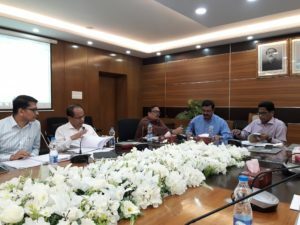 The National Committee for Health, Population and Nutrition (HPN) SBCC Strategy Implementation and Monitoring took its own course to hold its first meeting on October 21, 2018 in the MoHFW conference room. This meeting was Chaired by Mr. Md. Habibur Rahman, Additional Secretary (PH&WH), MoHFW while it was co-chaired by Mr. A K M Mohiul Islam, Additional Secretary, Health Education and Family Welfare Division, MoHFW. A total of 30 members of the National Committee represents the Ministry of Health and Family Welfare, Ministry of Information and its Directorates from DGFP, DGHS, DG-NIPORT and DG- Drug Administration. Other members include representative from Dhaka North and Dhaka South City Corporation. The members from donor agencies, implementing partners and NGOs include; USAID, Unicef, Ujjiban SBCC project and BCCP. 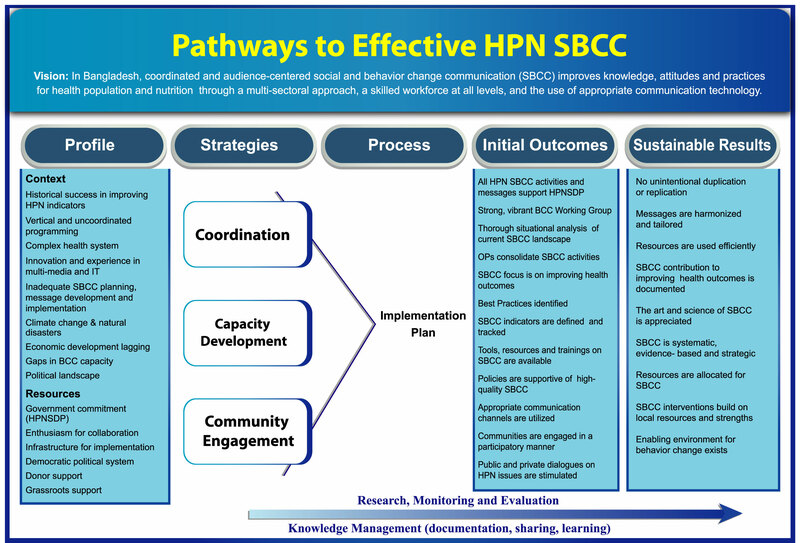 The Chairperson welcomed everyone attending this meeting and emphasized on the enormous role of the SBCC interventions in strategic implementation of the HPN programs. NTP will include SBCC activities with necessary budget in course of the next OP revision. At the end the Co-chairperson of the committee urged upon the members to follow the decisions of today’s meeting and thanked meeting attendees for their active participation. The Chairperson extended thanks to USAID for their support and to Ujjiban SBCC project for their continuous effort providing technical assistance to the MoHFW.